Federhofer's Bakery was established in 1966 by Bill Federhofer with a vision for success and a taste of perfection. 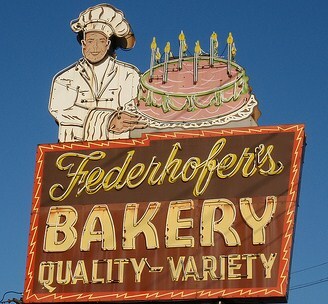 Federhofer's has built a reputation for providing the freshest and highest quality of baked goods for over 53 years. We have been using the same recipes over the decades to ensure our customers a wide variety of baked goods and the same great taste. We would like to thank all of our loyal customers who have been with us throughout the years and for those to come. So next time your in the area, stop by and we will be happy to accommodate your every need. You can also place your bakery order over the phone and pickup on a desired date as well. Federhofer's Bakery is located at the corner of Gravois Road and Mathilda in Affton.